Lake Geneva, Wisconsin is a resort town located an hour and a half north of Chicago and an hour south of Milwaukee. In the summer, the town welcomes visitors coming to sail and swim on Geneva Lake, relax in their lake houses, or stroll down main street. Lake Geneva’s population hovers around the 7,700 mark, but on busy weekends the sidewalks swell with visitors. 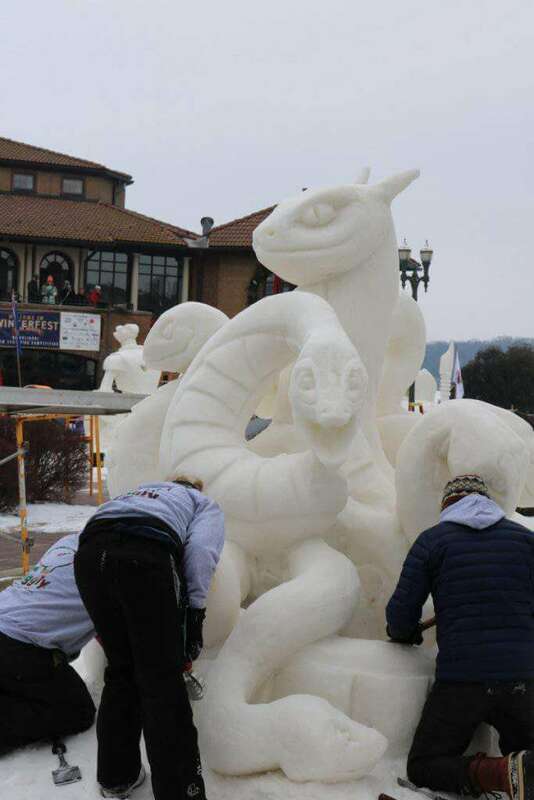 The winter is much quieter, with the exception of Winterfest, when tens of thousands of visitors gather to enjoy the U.S. National Snow Sculpting Competition and celebrate winter in earnest. This year the festival runs from February 3 through 13th, so if you haven’t been, there’s still time to go and have a fun time with your family! Teams from around the country gather by the lake and carve their creations. A team consists of up to 3 people and can take approximately 100 hours to complete. The competition began last Wednesday and ended Saturday morning at 11 a.m.. We arrived around 10 on Saturday morning so we could see the finishing touches. There is an official group of judges that chooses the winner and a “People’s Choice Award”. We thought they were all amazing. 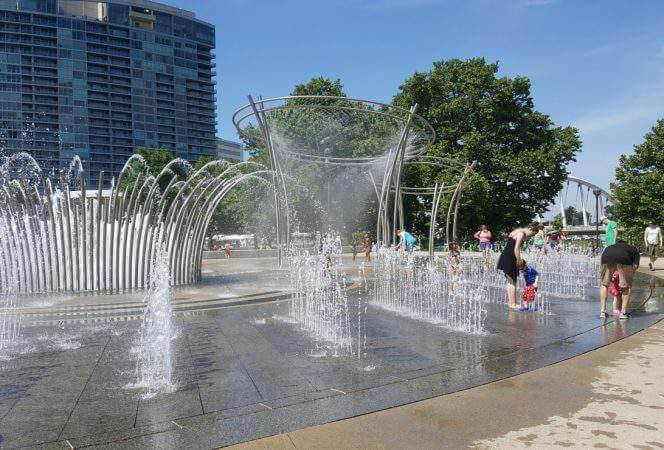 Sculptures will be there through the week for visitors to admire. This is happening on Tuesday, February 9 from 4-8 p.m., and families will join in a snowman building activity while sampling treats and hot cocoa around a beach bonfire. Proceeds from the event will go to the Lake Geneva Fire Department. 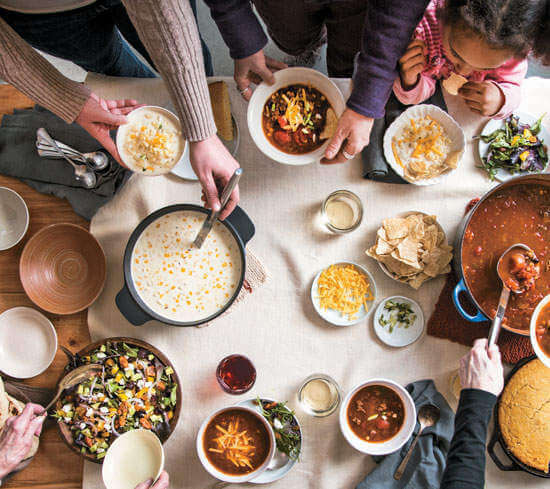 On Wednesday, February 10 at the Harbor Shores Hotel, area restaurants will serve soup to families as they watch a magic show followed by music and games. Proceeds from this event benefit the local food pantry. We might have to go back this next weekend to see this. 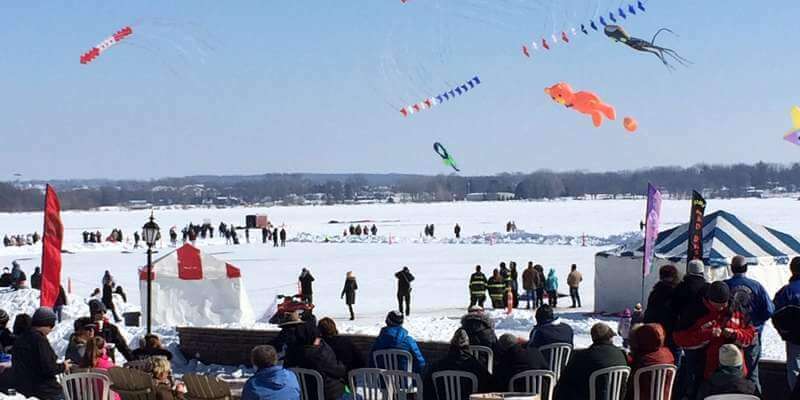 Lake Geneva Canopy Tours hosts this crazy event (N3219 County Road H) on Saturday, February 13, check in is 9 a.m. and the first race is at 10 a.m.. Each teach consists of six people: four sled pullers, a sled rider, and a sled pusher. Equipment is provided, teams just need to show up! Teams compete against one another in a double elimination tournament and prizes are also given for most creative costumes. How fun would this be? The third annual Sky Circus on Ice takes place on in neighboring Delavan Lake February 12-14. World class kite teams come together for a spectacular show in the sky over the lake. There will also be hands on kite making workshops and kite flying lessons for families to enjoy. 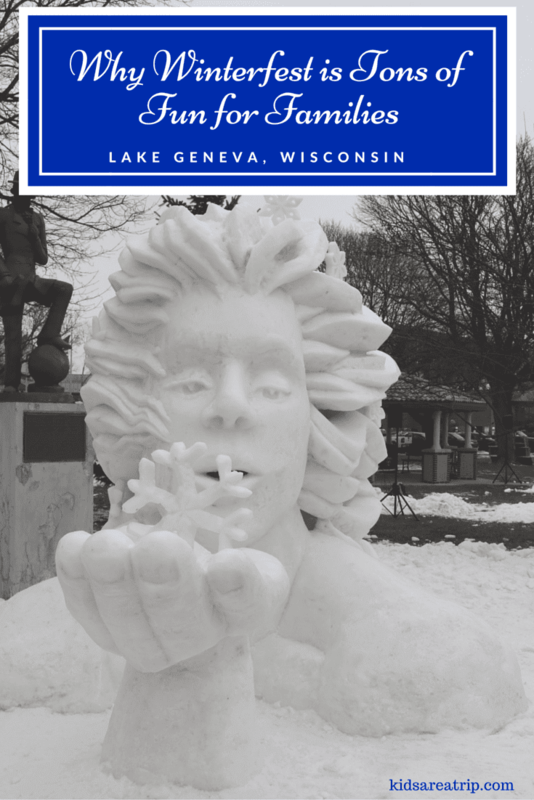 Snow sculptors will share their creations in the downtown area and along the lake throughout the weekend as well. My kids would love seeing the hundreds of kites soaring above the ice! If your kids love LEGO, they will want to head to The Abbey Resort (February 12-15) to see LEGO exhibits, participate in LEGO workshops, and try fun activities. Entry to the exhibits are complimentary for resort guests and $2.00 per person for non-guests. Sounds like a fun time for LEGO fans! 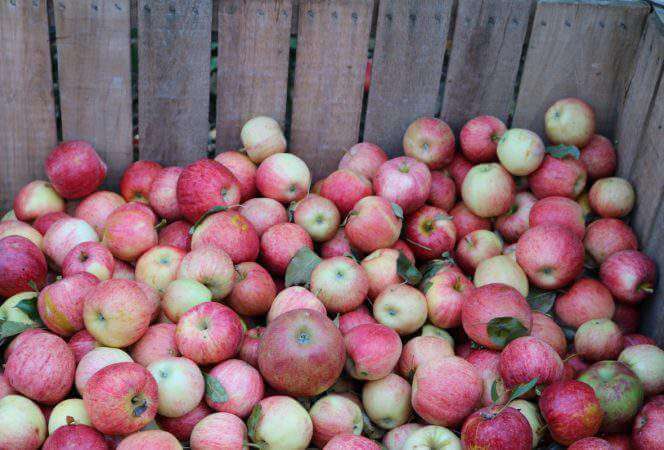 These events will keep your family busy, but our kids also enjoyed walking around town, having lunch at Sprecher’s restaurant, and stopping in for fudge and ice cream at Kilwin’s. 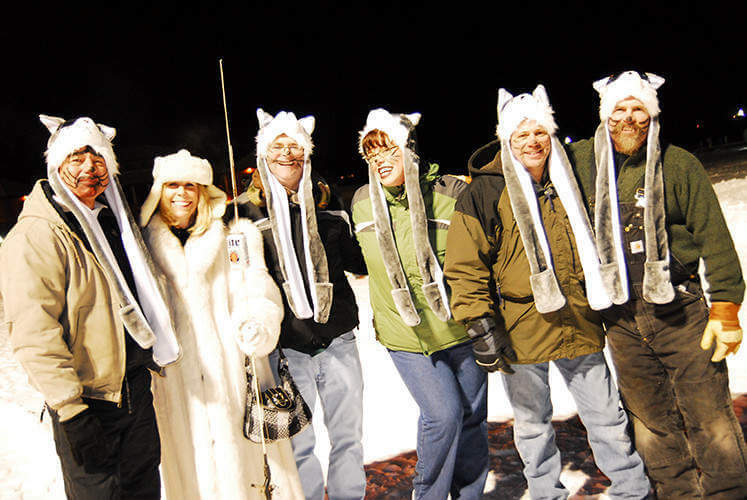 Winterfest in Lake Geneva, Wisconsin is a fun way to spend the day or weekend enjoying the outdoors! 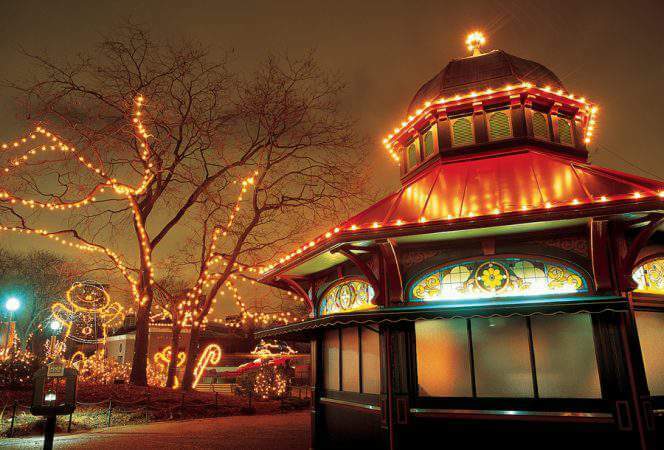 Have you been to Lake Geneva or Winterfest? What’s your favorite thing to do?